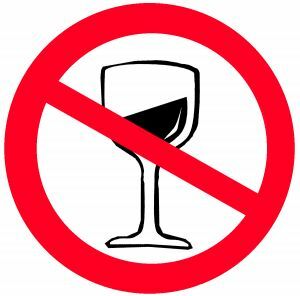 Everyone today knows that it is illegal to drive with a blood alcohol content (BAC) above .08. The laws impose this limit to ensure that people do not drive when they are too impaired to react quickly, to pay attention and to make safe choices behind the wheel. Unfortunately, the laws may not be doing enough, as it is possible that those with a BAC below .08 may still be affected by alcohol and thus unable to drive safely. Our Boston car accident attorneys knows that drunk driving accidents can be devastating and that it is important to do everything possible to prevent intoxicated people from getting behind the wheel. This is why new NTSB proposals on lowering the alcohol level constituting drunk driving could be a good thing that helps to reduce the risk of drunk driving crashes. According to NBC News, the National Transportation Safety Board (NTSB) recently voted to recommend that states lower the permitted blood alcohol content levels and change their definitions of drunk driving. The NTSB recommends that states drop the permitted BAC level down from .08 to .05. Currently, all 50 states in the United States define drunk driving using the .08 BAC rule, so this would be a widespread shift in drunk driving policy in the United States. However, changing the BAC level from .08 to .05 would put the United States more in line with other countries. Currently, only Canada, Iraq, the United States and a few other locations have their drunk driving BAC set at .08. The majority of locations throughout Europe, including Russia, define intoxicated driving as having a BAC of .05 or higher. Most of South America and Australia also have a lower permitted BAC than in the United States and when Australia changed their laws from allowing a .08 BAC to .05 BAC, provinces in the country reported between a five and 18 percent decline in the number of traffic deaths. Of course, adjusting our laws to match the rest of the world’s is not the only argument, nor the strongest argument, for reducing the allowable BAC level. The fact is that reducing the permitted BAC level could save lives. According to the NTSB, some drivers begin to experience problems with depth perception and other visual functions once they have a BAC of .05 or higher. The chances of an accident at this level increase by 39 percent. By the time a person’s BAC level reaches .07, his or her cognitive abilities are likely to be impaired, and by the time the BAC rises to .08 percent, then the chances of an accident are increased by a full 100 percent. Since a person begins to suffer impairment at .05 and the accident risk increases so dramatically, there is little reason to allow people to drive after they are at this stage of intoxication. Changing the law could reduce crashes and save lives, and lawmakers should seriously consider embracing the NTSB’s recommendation. If you or a loved one has been in a drunk driving accident in Massachusetts, call the Law Offices of Jeffrey S. Glassman for a free and confidential appointment — 1-888-367-2900. FDA Lowers Dose of Sleep Aids To Help Prevent Auto Accidents, Boston Personal Injury Attorney Blog, January 23, 2013.